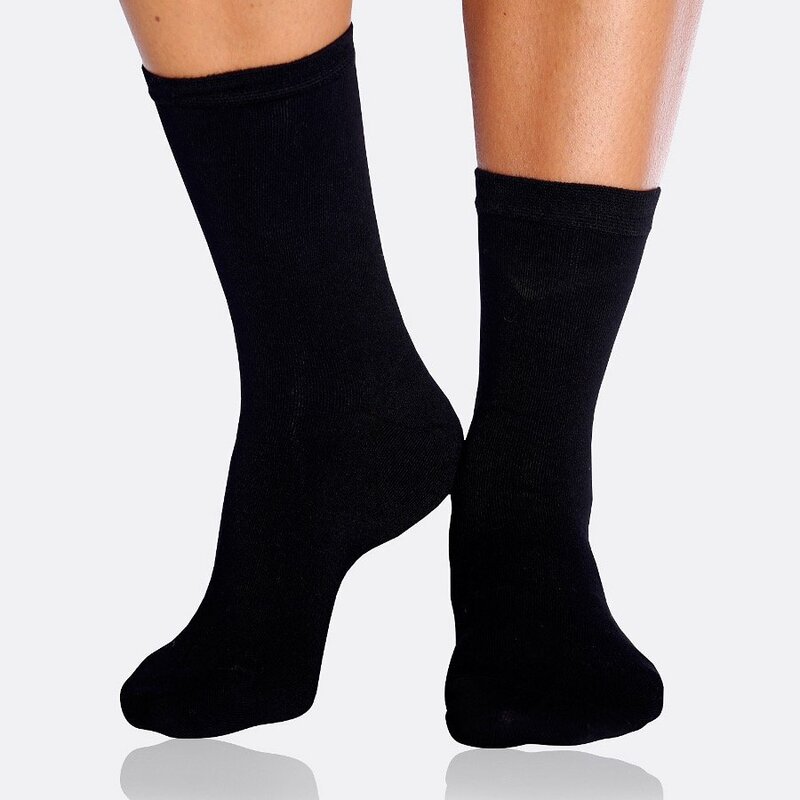 Everyday black socks made from soft, sustainable bamboo, with anti-fungal and anti-bacterial properties for healthy feet. The bamboo is EcoCert certified organic, and is a more sustainable option than regular fabrics as it grows at a much faster rate without the use of pesticides or chemicals. 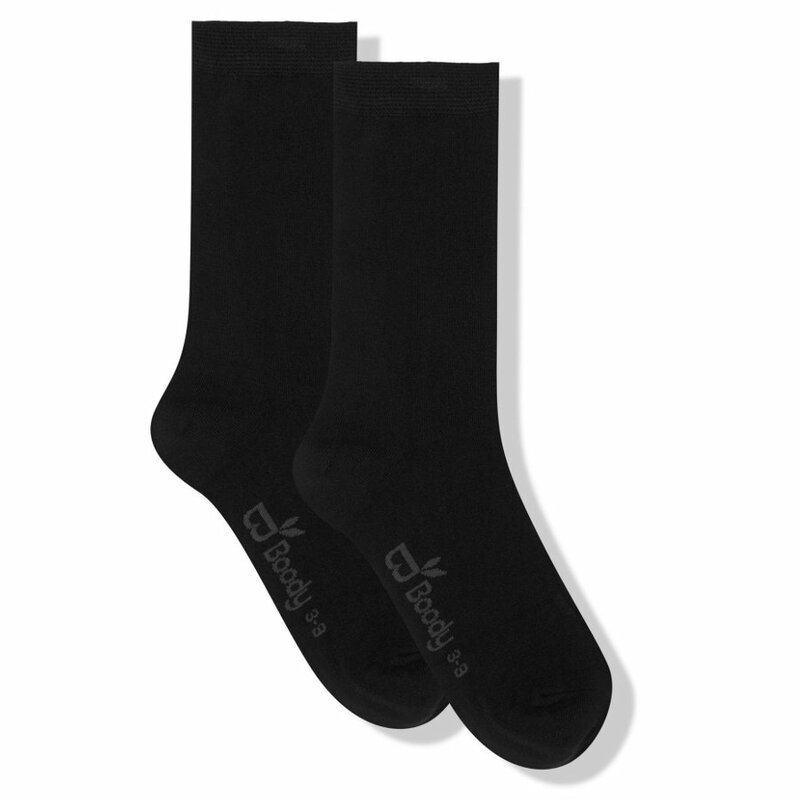 91% rayon derived from organic bamboo, 7% polyester, 2% spandex. 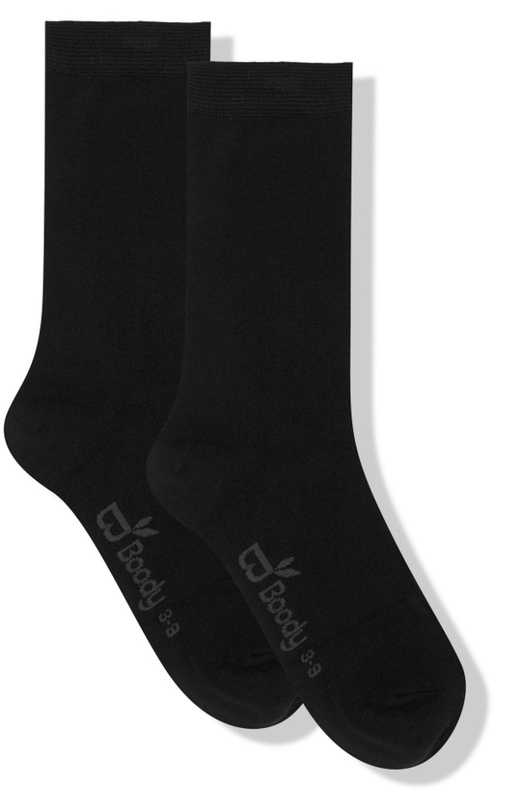 There are currently no questions to display about Boody Womens Bamboo Everyday Socks - Black.